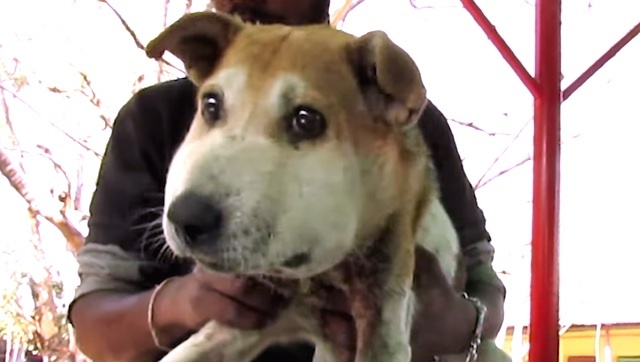 A street dog was rescued just in time after she was seen stumbling and dizzy with pain. Animal Aid Unlimited India knew something was seriously wrong when they first saw Pauline walking on the streets. She seemed disoriented and flinched when touched and her head was hugely swollen. They immediately took Pauline back to their shelter where they treated a terribly infected wound in her neck – the likely cause of the swelling. 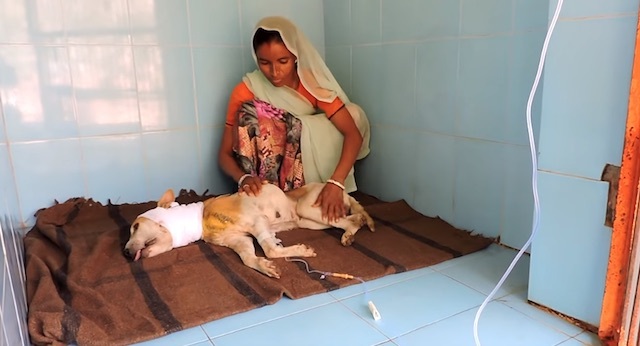 After flushing out the maggots and wiping the wound clean, rescuers patched her up. They knew she would feel so much better when she woke up. And after 5 weeks of treatment everything changed! 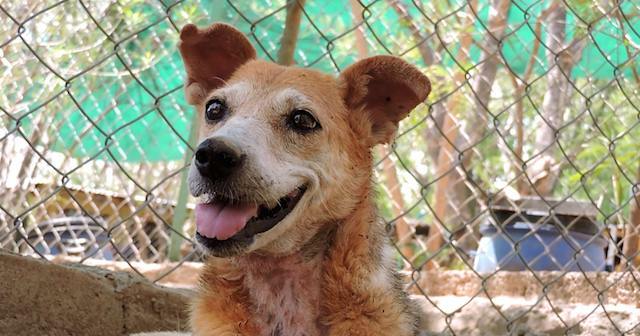 The elderly, shy dog can’t stop smiling now that she is healed and feeling better. You can watch Pauline’s amazing transformation back to full health in the video here.